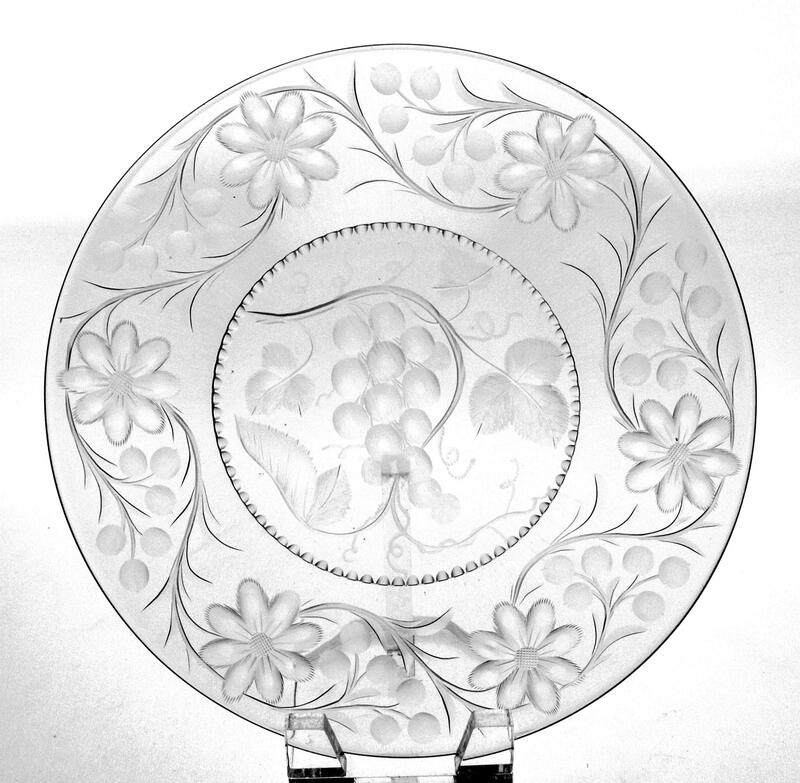 This 9 1/4-inch diameter ‘sandwich’ plate stands 3/4-inches tall at the rim; it sits on a 1/8-inch tall wafer base with a notched edge. 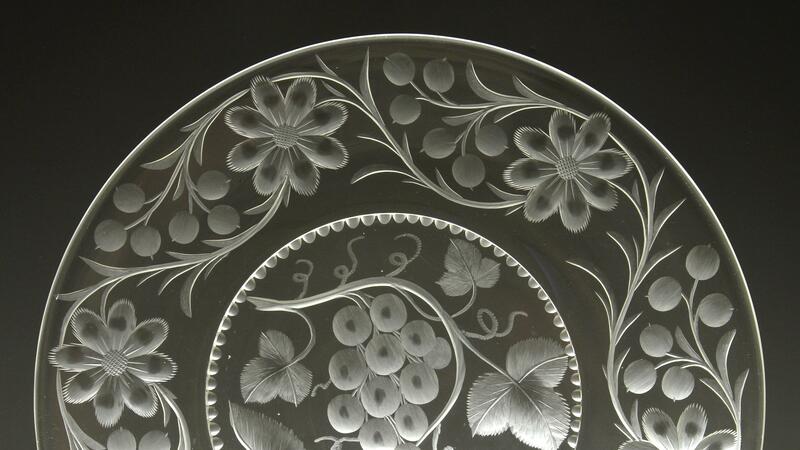 The center of the plate has a very realistic cluster of grapes; the 2-inch wide rim has a chain of six 8-petal flowers with flashed edges, vines, leaves and ‘berries.’ It is a very well-crafted plate, has an appealing design and a clear, water-white blank. The piece does fluoresce properly for an American Brilliant Period blank. It is, of course, unsigned. If you can identify the design and/or cutting house, we would greatly appreciate your effort. The piece is in better than extremely fine condition.